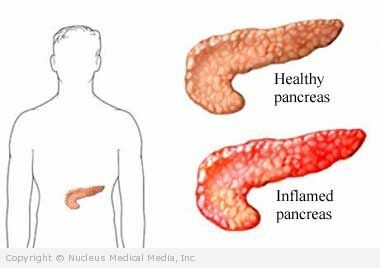 Pancreatitis is a disease in which the pancreas becomes inflamed. The pancreas is a long, flat, pear-shaped organ located behind the stomach. It makes digestive enzymes and hormones, including insulin. 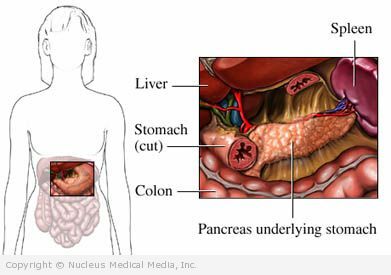 In pancreatitis, the digestive enzymes attack the tissue that produces them.